In an ongoing effort to stimulate the economy during its worst crisis since the 1930s, the Obama administration today announced that it will provide $787 billion in aid to chess, through players, clubs, and tournament organizers in the United States. 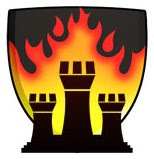 The aim of the chess stimulus package is to make it easy for people to buy chess equipment and chess lessons and pay tournament entry fees, thus providing a cash infusion that will in turn jump-start car sales, housing starts, consumer electronics, and new industrial products. Speaking at a White House press conference this morning, President Barack Obama said that the initial federal stimulus package passed by Congress in February is starting to show results but that another jolt is needed to sustain the recovery. The best way to inject a second stimulus into the nation’s economic bloodstream, the president said, is through chess, which studies show produces a high multiplier effect per dollar spent. Under the terms of the package, a cabinet-level Department of Chess will be created, which will establish Chessmaster in Residence positions for strong chess players who will be paid to teach and play chess. Grandmasters will make two million dollars a year, international masters $1.5 million, and FIDE and national masters one million. Experts, with ratings above 2000, will earn $500,000 a year. Because these salaries will put the recipients in the administration’s top tax bracket, most of what they earn over $250,000 will come back to the government in taxes, reducing the real price tag of the program. The impetus for the chess initiative came from Ray School parent and Secretary of Education Arne Duncan, who told the president about the success of the Ray School Chess Club and how chess had enriched the lives of its members and improved their school work. “The kids at Ray School have done a great job with chess, and they’ll serve as the model for our national chess policy,” said Obama, a longtime Hyde Park resident. 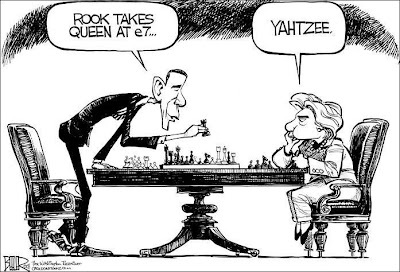 President Obama plays chess with Secretary of State Hillary Clinton. Clinton played a key role in the defection of foreign GMs. In an exclusive interview with this blog, presidential senior advisor and former Hyde Park Herald columnist David Axelrod said the president wanted to give even more aid to chess but that Republican members of Congress objected. Rather than risk a filibuster in the Senate, Mr. Obama agreed to the lower figure. Axelrod also revealed that the State Department has reached agreements with about 20 super-GMs, those with FIDE ratings above 2700, including Vishy Anand, Vladimir Kramnik, Veselin Topalov, and Magnus Carlsen, who will all be paid large sums to move to the U.S., where they'll receive fast-track processing as citizens. The move virtually guarantees that future chess world champions will be Americans. The president’s plan calls for chess to be taught in every school in the country from kindergarten through grade 12, all supplies to consist of top-of-the-line products from House of Staunton. Special training will be provided to teachers, and those who complete the training successfully will be paid an annual bonus of $50,000. Chess tables will be built in every park in the country, and every city and town will have several chess clubs open 24/7. The plan will also sweeten the pot for the annual U.S. championship, which will move from Oklahoma to the Borders bookstore on 53rd Street in Chicago’s Hyde Park. It will carry a prize purse of $50 million. Reaction from the far right was mixed, though mostly negative. Republican Party spiritual leader Rush Limbaugh went apoplectic while denouncing Obama on his nationally syndicated radio program and had to be dragged from the studio hyperventilating. He was taken to a local hospital and heavily sedated. Fox News’s Bill O’Reilly dispatched several camera crews to follow and harass the nation’s leading scholastic chess players. Rep. Eric Cantor (R-Va.), reached on his cell phone at a LeAnn Rimes concert, was skeptical about the new cabinet department for chess. “Will the State Department and the Department of Chess fight a turf war over the Yugoslav Attack and the Italian Game?” asked the Republican House whip. “And under whose jurisdiction will the Fried Liver Attack now fall, Chess or Agriculture?” He also predicted that the Wilkes-Barre Attack could spark a crisis of federalism as the state of Pennsylvania and the federal government vie for control. However, Republican Congresswoman Michele Bachmann of Minnesota, who said recently that she feared “America is running out of rich people,” praised the program that will create many new millionaires. She did express her hope, however, that America’s chess masters would use their newly acquired wealth to help overthrow the government. “It’s what Jefferson would have wanted,” she said. 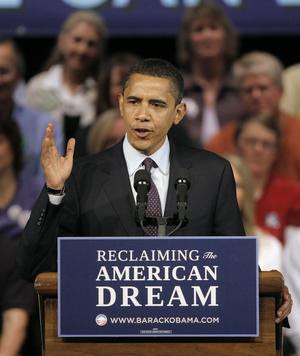 Update: Related story: "USCL to Get $80 Billion from Obama Stimulus"